Barton (David Garth) is going through his accounts and finds he can't make head nor tail of them; he angrily calls his secretary, Miss Purbright (Zeph Gladstone), who cheerily tell him it's her new filing system. He orders her to come in and explain it and bring the files with her. In response, she dons a steel helmet and take a dynamite plunger from under her desk which sets off a bomb under his chair. Afterwards, she thoughtfully plays with her bracelet of trinkets. Liz Purbright then attends a meeting of young professional women chaired by Henrietta, who we don't see, and her husband, Henry (Artro Morris) bustles around the room. Henrietta congratulates Liz on her success and assigns a new task to Sara (Angela Browne) - her next assignment will be Sir George Moreton. That evening, Sir George (Kevin Brennan) bustles his secretary, Mary (Sarah Lawson), out of the office and prepares for a date. He puts on soft music and brings out some bottles. Sara arrives and locks the door behind her; they kiss and she removes a stocking while he pours some drinks. He comes over to her and she wraps the stocking around his neck, pulling him towards her - then viciously strangles him. The next day, Mary tells Joshua Rudge (Jerome Willis), the chartered accountant brought in to administer the company following Sir George's death, that she found Sir George as she's always first in to the office. Rudge commends her but notes the filing system is unnecessarily complex; Mary demonstrates intimate knowledge of the system and is installed as interim CEO. Rudge returns to his office where Steed is waiting for him. He explains the Ministry has sent him because of the murders of some of his clients. He asks if there's any chance Sir George was killed to cover up embezzlement, but Rudge is adamant that's impossible. After Steed leaves, he dictates a memo to the minister suggesting Steed is 'hysterical'. 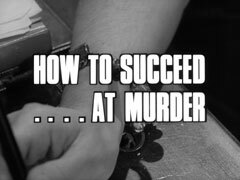 Sara is given another assignment, Jack Finlay (Robert Dean), whom she kills with a toy gun on her bracelet. Steed and Emma are discussing the case when they receive news of Finlay's death. He fits the pattern of a prosperous businessman running a private company. They discover Finlay is another of Rudge's clients, and visit the crime scene. they notice perfume in the air of the car which Emma collects with a tyre pump. Steed returns to Rudge's office, where he's set upon by a couple of women wearing bracelets of trinkets when he examines the books; he finds one of the trinkets on the floor after they go. 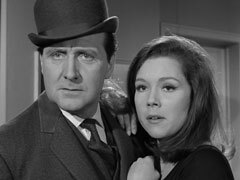 Mrs Peel has better luck at Hooter's and is shown in by Gladys (Anne Cunningham) to see J.J. Hooter (Christopher Benjamin). Gladys then attends to Henry, who has arrived to pick up a parcel for his wife. 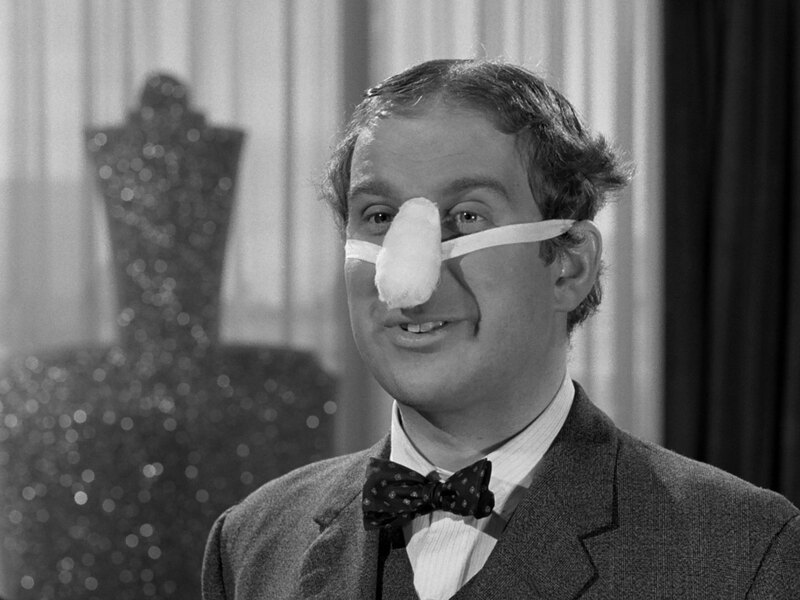 Hooter wears a protective bandage on his nose, which he removes and then washes his nose in distilled water before identifying the perfume as "Leap into my Fervid Arms", one of his own creations. 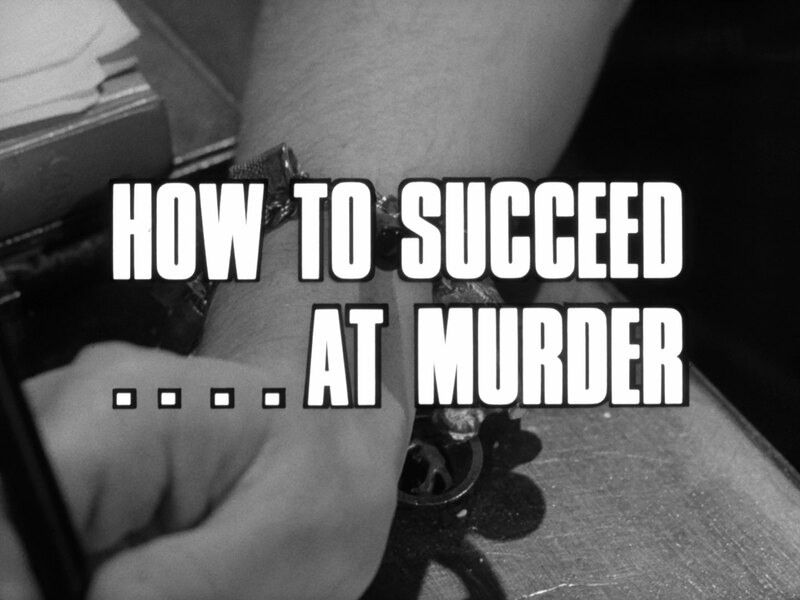 He asks Gladys to bring the file on the perfume - she removes the customer list from it and dons one of the murderous bracelets before bringing it through, then claims the list was sent to the warehouse that morning. Mrs Peel agrees to return later in the day and departs. After she leaves, Hooter asks for a new nose guard; Gladys douses it with poison and suffocates him with it. Henry is presenting a bottle of Leap into my Fervid Arms to Henrietta when Gladys calls in - her mission is a success. Steed shows Emma the trinket, thinking it's a man's fob but she's reminded of Gladys' bracelet. Her suspicions are confirmed when she returns to Hooter's to discover he has died and Gladys, now in charge, refusing to give her any information. Steed rings the Colonel for confirmation - in each case the victim's office system was so complex that only the secretary could cope with it. The snag is a different agency supplied each secretary and they can't find the link. Rudge meanwhile is shown in to see Henrietta by Henry and discovers she's a ventriloquist's dummy, the operator apparently hidden by a curtain. Steed returns to Rudge's office but finds Sara in charge; she claims Rudge is on extended leave. Steed dangles the carrot of a £4,000,000 business run by himself alone and he needs someone to do his paperwork. 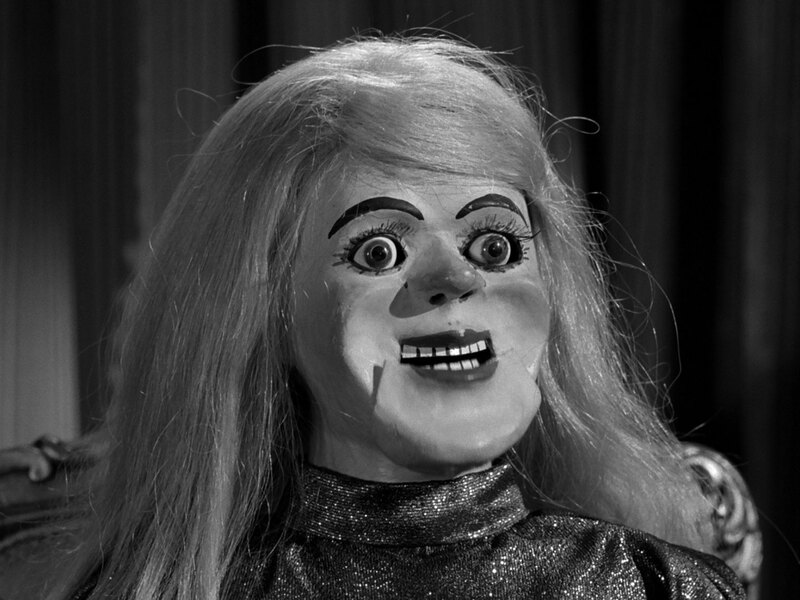 Sara smiles and says he needs a thoroughly efficient secretary. Meanwhile, Emma demonstrates initiative and business acumen to Mary, who suggests she ought to consider working for herself instead of for others. The girls assemble at Henrietta's to make their reports - Liz is taking over another division of Barton Industries, Mary thinks Emma would be useful to them and Sara says she's found a new victim, John Steed. Mrs Peel returns late to the office and searches Mary's bag, finding a gun. She follows her to a keep fit class and takes a leaflet, which she later shows to Steed. Henry and Henrietta's class is the link they'd been looking for and he tells her about his secretary. she warns him not to turn his back on her and attends one of the classes. Mary is surprised but pleased to see her there and Emma asks her how she would go about working for herself. Emma leaves the class, Henry explaining that it's only advance students from now on, and he leads them in to see Henrietta. Mary says she's now convinced that Emma is right for them and Henrietta agrees to put her to the test. Steed is watching outside and follows Henry to a cemetery, where he leaves flowers on Henrietta's grave. That evening, he runs into Emma's car so he can pass this information on before she enters the class. When she does so, Mary orders the girls to attack her and is pleased when she easily fights them off. Mary says she's ready to meet the real power, Henrietta (Henry is "just a man") - although nobody knows who she really is. Emma is surprised when Henry brings in the dummy and it starts giving orders. 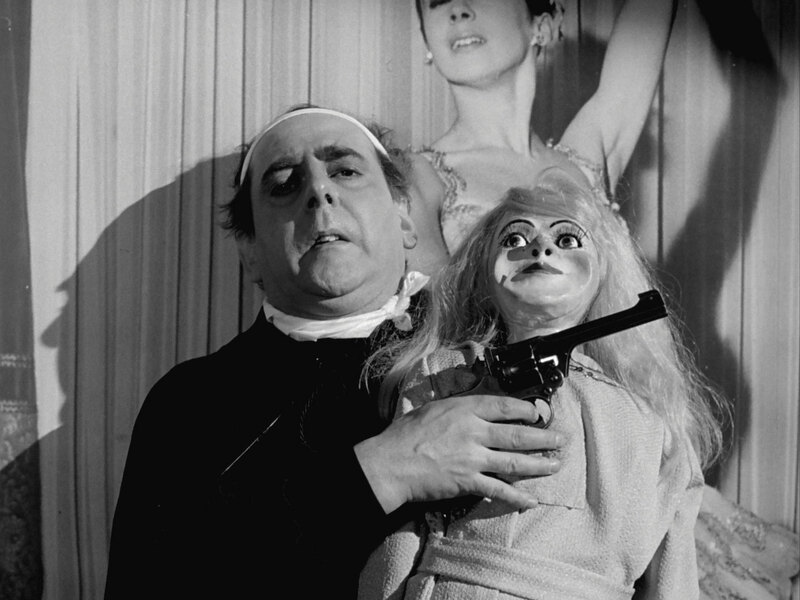 Emma is presented to Henrietta; the doll suggests Emma "has been subjugated to men too long, always at his beckon call. Commanded, used, abused. Always the slave, never the master" and tells her the function of the organisation is to take woman out of the secretary's chair and put her behind the executive desk. Sara is ordered to demonstrate killing a man on Henry, and strangles him with a skipping rope. Henry rubs his neck as Henrietta orders Sara and Liz to use the technique on Steed while Mrs Peel tries it. Steed stops Liz from shooting him with a soda siphon, then trusses her with her own jacket. Sara rushes over but is defeated by Steed, who puts her over his knee and tickles her until she spills the beans. Emma meanwhile has successfully demonstrated throttling and is given a bracelet, which Henry explains is functional - the radio, smoke bomb, poison vial and gun all work. At that moment, Gladys enters and demands to know why Emma is there - Emma makes a break for the door but is caught and Henrietta ponders the dilemma of killing a woman. Steed breaks into the keep fit class and finds Rudge gagged and tied to Henrietta's chair. Rudge tells him they're making him devise complicated accounting systems and are planning to take over the business world with the motto "ruination to all men". 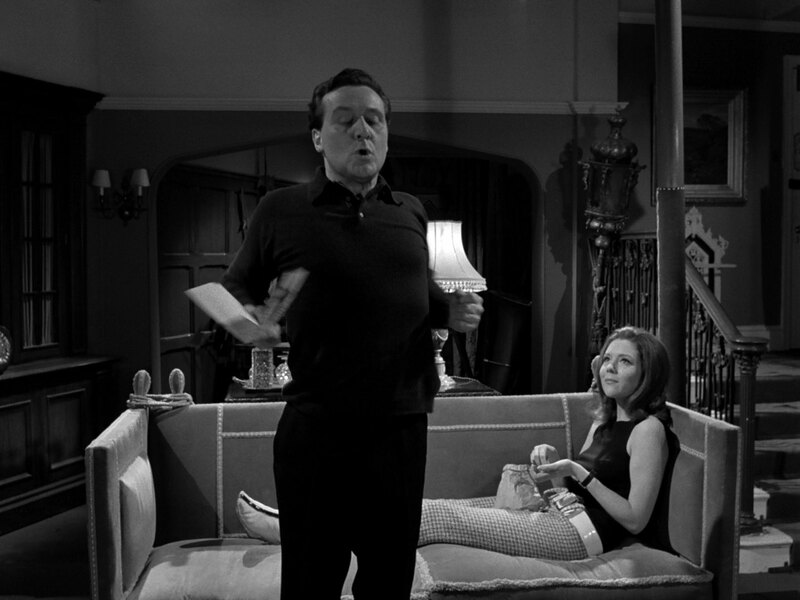 Steed accidentally knocks over a walkie talkie as he frees him and the girls hear Rudge telling him where they are. He is quickly surrounded and Emma is thrust towards him, The Avengers embrace as they are surrounded by the killers. He sees Henrietta and wonders who is pulling the strings. Steed wonders how they could manage ruination to all men and the girls all shout it will not be difficult. Henry approaches to stop Steed touching Henrietta and the dolls stops talking and gasps when Steed winds Henry with his umbrella handle. The women are shocked to discover that they have been taking orders from Henry all along, the doll controlled by his wristwatch. Henry shouts, "No!" and says she would have been the greatest ballerina ever, trained by him - until men convinced her to start her own business, which they would run, but she went bankrupt and took her own life. The girls set upon Emma, who assures Steed she can manage - flinging the women across the room to prove her point. Steed goes after Henry and they exchange gunfire, Henry eventually taking a bullet in the chest - which also passed through the doll. Emma enters to find man and doll on the floor, their lips touching in a farewell kiss. 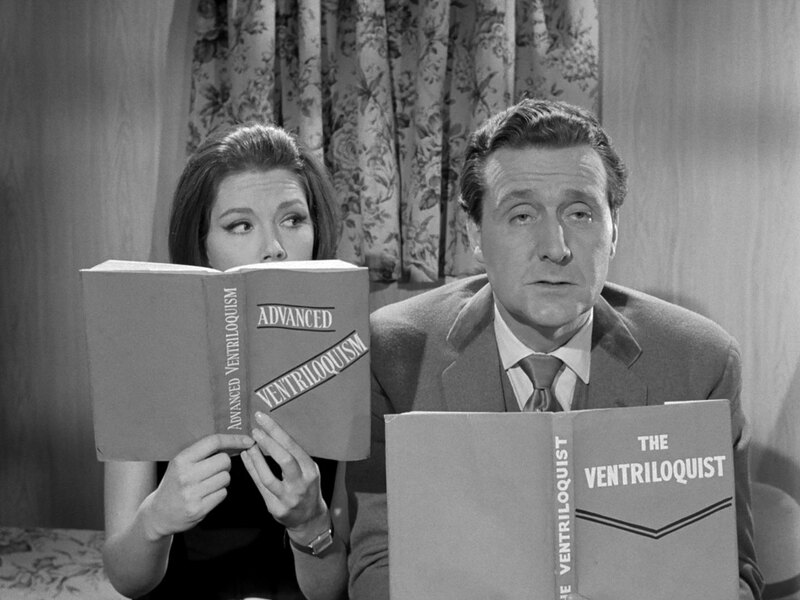 Steed and Mrs Peel practice ventriloquism, sitting in a caravan that suddenly takes off, knocking them backwards.